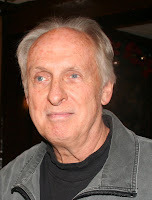 The British Invasion as a pop cultural reference usually refers to the wave of British bands that began to infiltrate American pop music starting in 1962. However, there was a sort of pre-British Invasion when it came to the culture in general. 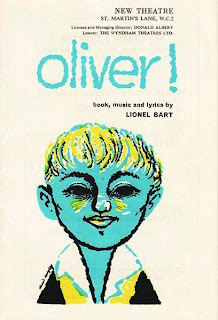 The vanguard was led by several British-themed musicals and plays in 1960-Robert Bolt’s A Man For All Seasons, Lerner and Lowe’s Camelot and most importantly for Mr. Magoo, Oliver!, with music, lyrics and book by Lionel Bart and based on Charles Dickens’ Oliver Twist. 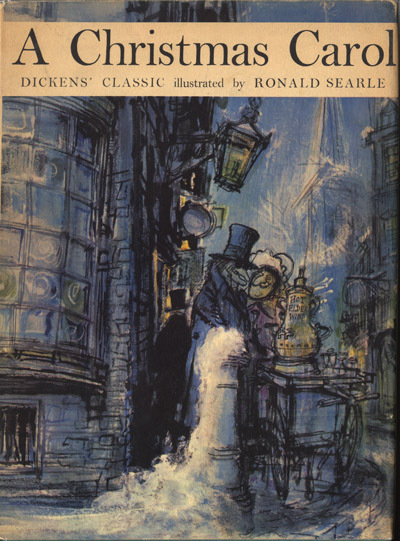 Shortly after the debut of the Dickens musical, an edition of A Christmas Carol with illustrations by Ronald Searle, the renowned British cartoonist, was published. (World Publishing Co., copyright 1960, 1961.) Searle illustrated two more of Dickens’ works, Great Expectations and Oliver Twist, both published in 1962. 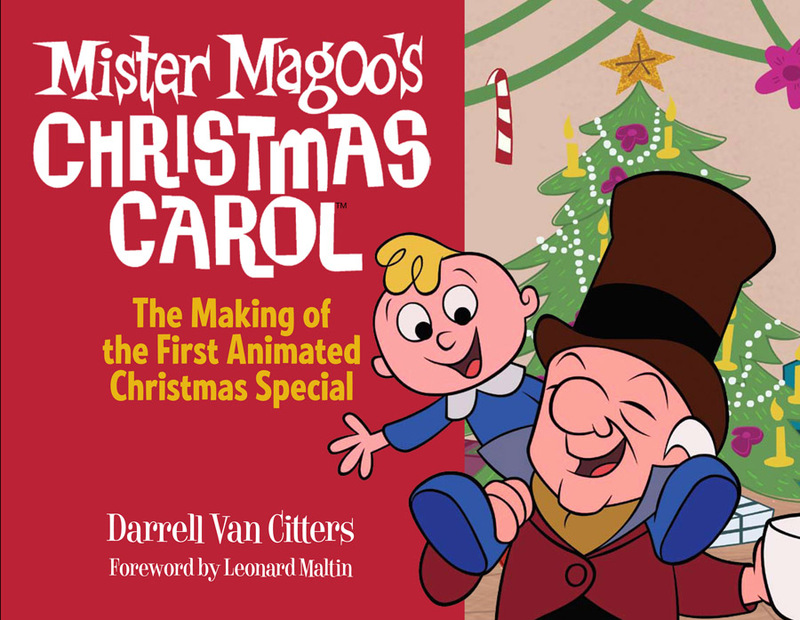 The Magoo special had its debut on the NBC network in December 1962. 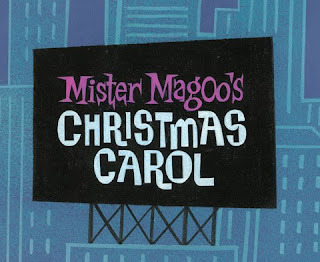 It appears that Dickens was experiencing a bit of a cultural renaissance and both Bart’s musical and Searle’s book had a hand in the genesis of Mr. Magoo's Christmas Carol. The success of Oliver! clearly influenced the decision to make an animated musical based on A Christmas Carol. 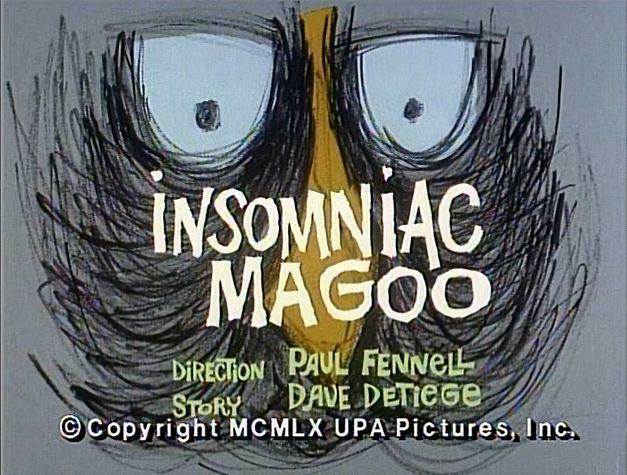 However, any direct influence the Searle's book had on the artists at UPA is bit more difficult to trace but they were certainly aware of it-a UPA stamped copy of the book was found in Abe Levitow’s personal collection of material from the film. These few designs by Lee Mishkin unfortunately pale in comparison to Searle's florid line work but Lee was working in a different discipline and constricted by production methodology and budget. Viewed by themselves, his designs are extremely appealing and contribute enormously to the charm of the film. 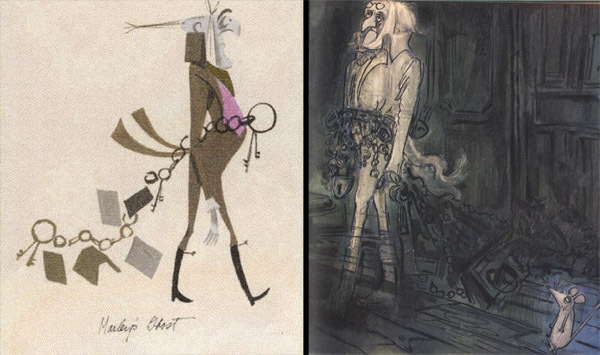 Mishkin was not alone in referencing Searle; many of his contemporaries were also influenced by Ronald Searle's work. 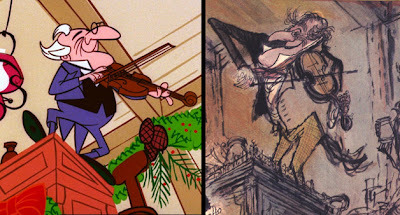 In fact, Searle caught Disney designer Tom Oreb poaching what he felt was his horse design for Samson in Sleeping Beauty, and the host and contestants on "What's My Crime?" 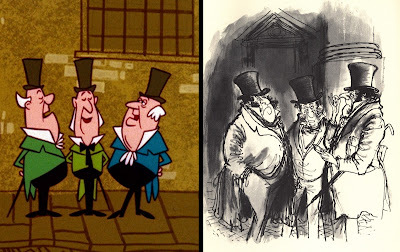 in 101 Dalmatians, also designed by Oreb, have a distinctly Searle feel to them. Even the line work in the backgrounds for 101 Dalmatians,created by layout man Ernie Nordli, echoes Searle's own backgrounds. To see more from Ronald Searle's lavishly illustrated edition of A Christmas Carol, as well as his other Dickens' editions, click here. 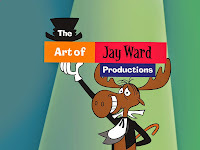 I'm pleased to announce that the book will be back in print beginning October 15th. I'm also happy to report that this edition is being printed domestically and the proofs I've seen are even better than they were for the first edition. How that will translate to the final printing is anyone's guess but it's looking very good at this stage. There are some minor text revisions in this edition, based on new information that came to light after the first edition went to press, and I will list those changes in a later post. You can pre-order the book by clicking here.